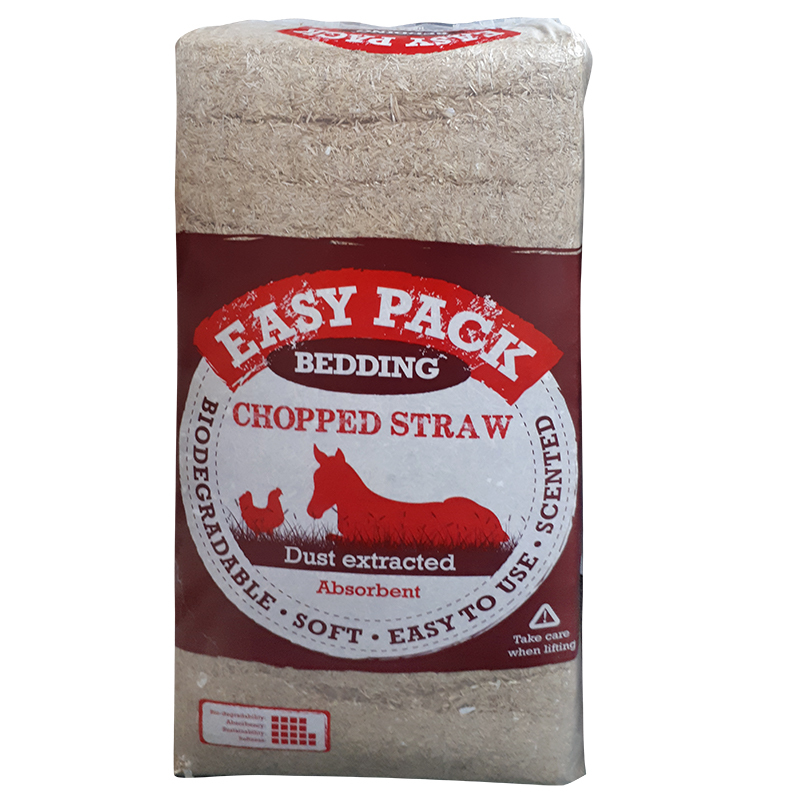 Easy Pack Chopped Straw Bedding is made of chopped wheat straw. This bedding is packaged in tight manageable bales, that are easy to handle and load into the car. The locally sourced straw is finely chopped, dust extracted and treated with Eucalyptus for a pleasant aroma whilst deterring the horse from eating their food. Highly absorbent – locks in moisture reducing waste and absorbing ammonia smells. Dust Extracted – reducing dust for a light, airy, healthy stable. Chopped – for a soft manageable and easy to work with bedding. 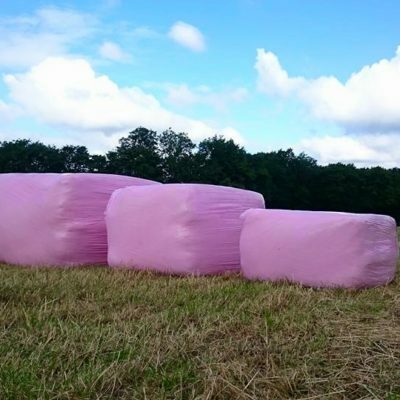 Biodegradable – rots down quickly and can be spread straight on to the land saving money on muck removal whilst providing an ideal fertiliser for your fields. Lightly Scented to make it less palatable.